Halfway through President Trump’s first term and days before the 2018 midterm elections, a wide-ranging new survey from PRRI shows that partisans see two entirely different futures for America. Democrats and independents share a vision that departs substantially from Republicans. 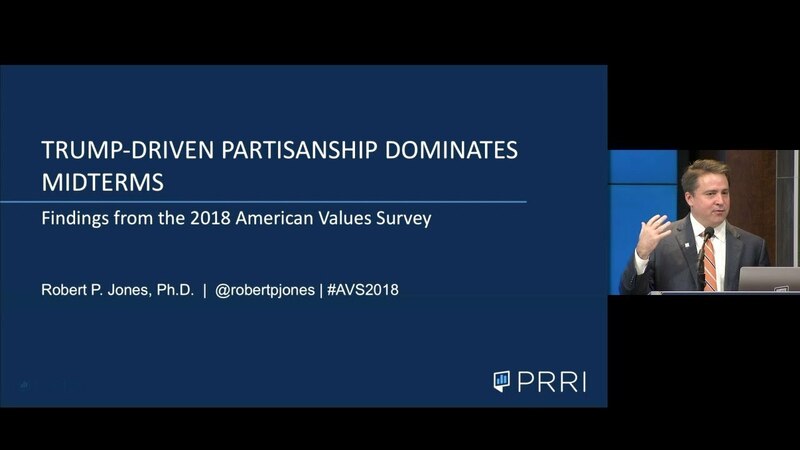 The 2018 American Values Survey (AVS) explores the ideological gulf among the American electorate as it relates to major cultural developments (e.g., #MeToo and anthem protests), the White House’s agenda, immigration, racial justice, and how more diversity among elected officials could impact the country. This year’s survey, the ninth in an annual series, also explores Americans’ attitudes toward discrimination, perceptions of foreign influence in the country, and the changing demographics of the nation. 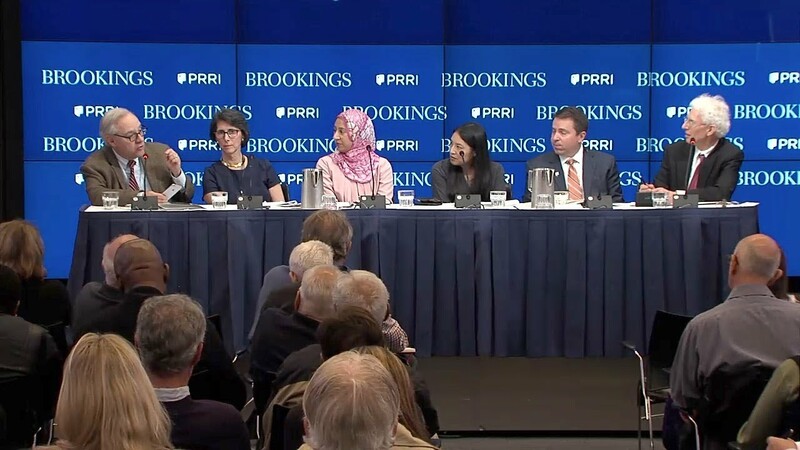 On Monday, Oct. 29, Governance Studies at Brookings and PRRI hosted an event to release this year’s American Values Survey. A panel of experts discussed the survey results and Americans’ views on a variety of political and cultural issues. After the program, panelists took questions from the audience.